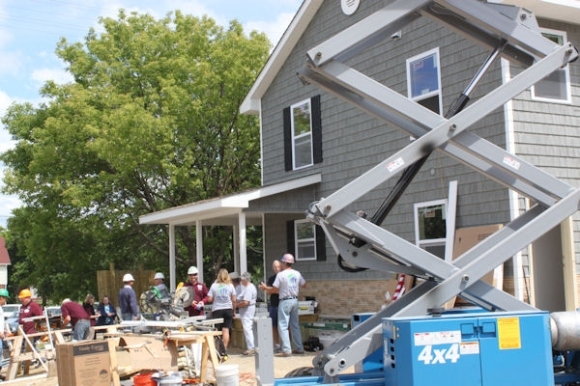 Members of UM-Flint’s Entrepreneurs Society, an organization composed of School of Management students, helped Habitat for Humanity (HFH) build the first “Work/Live” house in Flint on West Fifth Street in June of 2012. The Work/Live home contains both residential and commercial space, and provides the resident both affordable housing and an opportunity to become a self-sufficient small business owner. Now, the society will help HFH provide a third such house in the same neighborhood. The success of the unique houses has attracted the interest of MasterCard. The company recently announced it is providing a $90,000 grant to the Genesee County HFH, and a total of $400,000 in grants to be awarded to five HFH affiliates in MasterCard target markets that will replicate the model created by Genesee County HFH and the UM-Flint Entrepreneurs Society. The five awarded affiliates will be visiting Flint in August for hands-on training. The residents of the newest house will be small business owners Scott Hempel and Tyler Bienlein. They will soon have a new affordable space in the Grand Traverse District in downtown Flint for their tabletop gaming store, where they will work and live thanks to this innovative housing pilot. 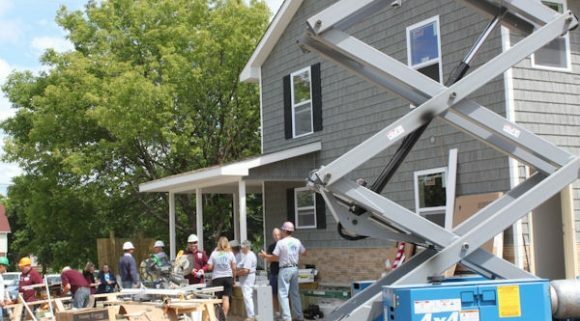 “We are grateful to Genesee County Habitat for Humanity for their willingness to be creative and innovative in addressing the need for small business job creation, and to the University of Michigan-Flint Entrepreneur Society in making the connection and strengthening our business plan,” said Scott Hempel.